A diverse gathering of glitterati converged on the eve of President Donald Trump's inauguration to drink in the accomplishments of the past eight years under the nation's first black president, pledge to oppose inequity and offer support in the times to come. 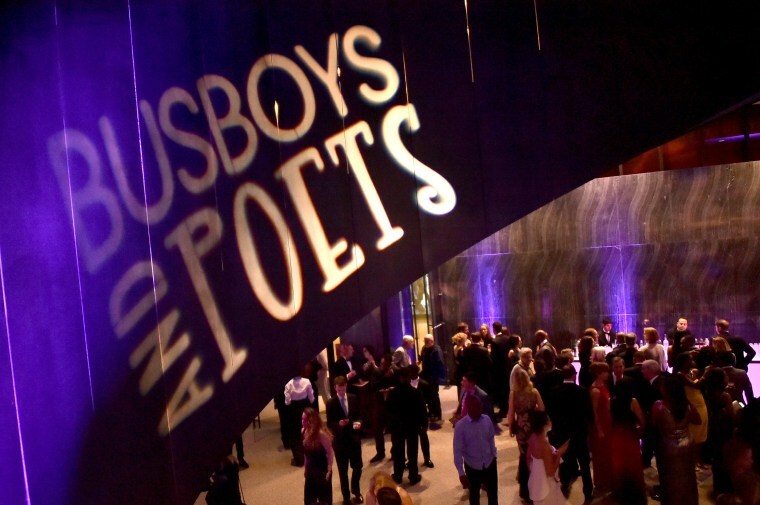 The "Peace Ball: Voices of Hope and Resistance" hosted by Busboys and Poets at the National Museum of African American History and Culture in Washington D.C. on Thursday night was equal parts rally and therapy session. Solange Knowles crooned " A Seat at the Table". Writers Sonia Sanchez and Alice Walker and actresses Ellen Page and Fran Drescher joined thousands of other attendees. Activist Angela Davis summed up the sentiments in the room. "In our resistance, we need art. We need music. We need poetry," Davis said. The mood among many African Americans going into Friday was one of apprehension, Mark Anthony Neal, a professor of African and African-American studies at Duke University told NBC BLK in an interview. “It’s complex, there is fear among young people because for some for them President Obama is the only president they’ve known. Older African Americans have a feeling of disappointment and frustrations because they’ve live through the bush and Reagan years,” he said. Award-winning actor, director and activist Danny Glover said those sentiments can serve as a catalyst to action. "Black lives matter is going to be in danger. Immigrants are going to be in danger. People are going to be in danger. We have to protect those people and look out for those people," Glover told NBC BLK. "We have to keep building and keep moving. We have to raise and support and be the foundation of a new generation of leadership that’s coming up a lot of people at this particular moment right here. New leadership is coming. No leaders can back down. We just have to get strong that’s all it is."